Hi Ladies! I hope you are all having a great week so far. I've been so bored applying for jobs and watching crappy daytime TV all week. Boo! I swear blogging has been the only thing to keep me sane in my unemployment so thanks for commenting on my posts and cheering me up guys, it means a lot to me. Anyway, I won't depress you anymore and I'll move on to the good stuff - Eyebrows, yey! I've been asked quite a lot about my eyebrows lately and what I use on them so I've decided to put together a little post about my eyebrow 'history', how I got them into shape and how I fill them in. I don't know if it's just me but eyebrows are one of the first things I notice when I look at people. 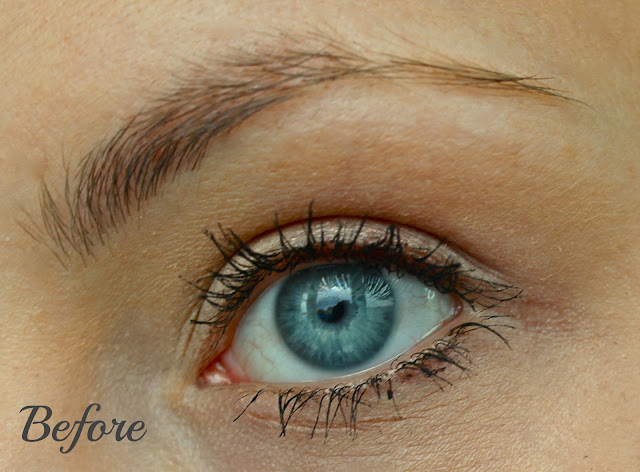 I really believe that well groomed and defined eyebrows can make so much difference to our overall appearance. It can also take years off you if you are an older lady as a clean arch can actually act as a mini face lift without the surgery. It wasn't until around two years ago when eyebrows became a beauty focal point that I began getting them waxed professionally and using products on them. Up until then I had completely over plucked them myself and left them au natural. 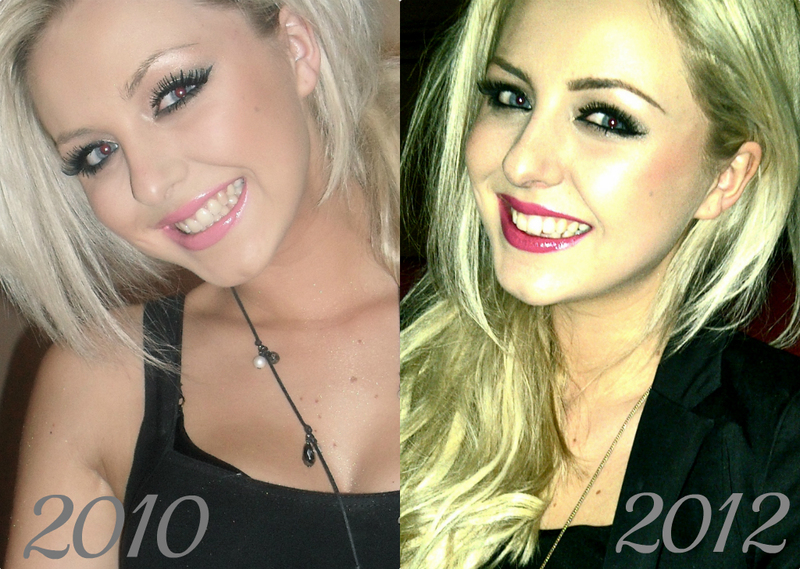 As you can see from my photo above, in 2010 my brows looked a sorry state of affairs. They are very thin from over plucking, sparse and generally not attractive. However, compare them with the 2012 photo and you can see that they have dramatically improved. This is thanks to me leaving them alone to grow, paying for a 'HD Brows' treatment and using some clever beauty products to fill them in. If you have never had or heard of the 'HD Brows' treatment then I can't recommend it enough. It is definitely the queen of all eyebrow treatments as it consists of seven steps including tinting, waxing and threading to get your brows looking flawless. I haven't actually had mine done for a while which is why they are looking a bit poopy again in my 'before' photo but as soon as I have money I will be booking myself an appointment. After the treatment my brows looked super defined and groomed. (See 2012 photo - this was taken just after the HD Brows treatment). So now your up to date with my ever changing brows, this brings me on to the product I want to talk about in this post; 'Benefit Brow Zings'. I'd read a few rave reviews about this particular kit which contains a wax, a powder, two brushes and a teeny pair of tweezers. It had been on my wish list for quite some time but as its a fairly expensive product (£22.50), I could never justify it. However, when my birthday came around this year I decided to bite the bullet and use some of my birthday money to buy it. I figured it would be an investment and something I would use every day which made me feel better about the high price tag. I also thought it looked super cute and as a sucker for pretty packaging, I was inclined to buy it even more. I decided to go for the 'Dark' kit but there is also a 'light' and 'medium' kit available so there should be something to suit anybody. I quite like a dark brow which is why I went for the darker kit. Since purchasing this product back in July, I have used it every single day. Seriously, this is the best eyebrow product I have ever used. I used to use a standard brow pencil but looking back at photos of myself I can see that it looked very unnatural in comparison to the Brow Zings. The reason the Brow Zings looks more natural is because it is a wax/powder combo instead of a pencil. Pencils are known for creating very harsh and defined lines whereas a powder adds the same definition without looking too harsh. The purpose of the brow kit is to apply the wax first to keep stray hairs in place and then apply the powder to fill in sparse areas. 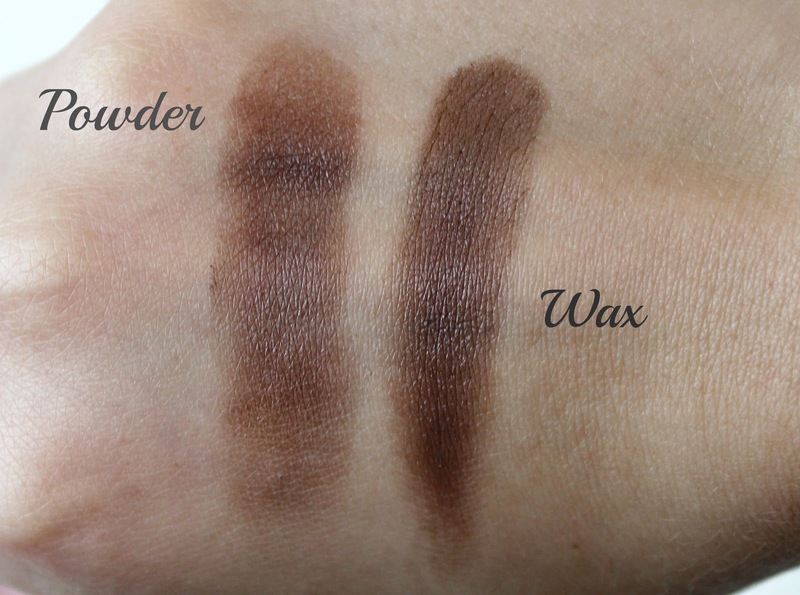 I must admit, I often neglect the wax as I find I don't have time to apply both but I use the powder every day and find it quick and easy to achieve well groomed, defined brows. I use the small brushes provided to apply the product and although they work perfectly fine I eventually want to get a MAC angled liner brush to replace it. As you can see from the before and after photos above, the Brow Zings has given my brows a much more defined and groomed finish. I feel much more confident when my brows are looking good and would probably prefer to leave the house without foundation than without my brows filled in. It is a staple part of my daily makeup routine and I can't see myself using anything else for a long time. This kit will last me an absolute life time as I only need to use a teeny tiny bit each time. Therefore the pricey cost is in my opinion completely justified. If you want to get your hands on this product, it is available here on the Benefit website. I hope you all have a great weekend and have some nice plans. My two crazy aunties are currently on their way up to Newcastle to stay with me for the weekend so I am very excited to see them and have a jolly old time. We are going to the comedy club tonight so that should be a good laugh. Have you ever tried Benefit Brow Zings? 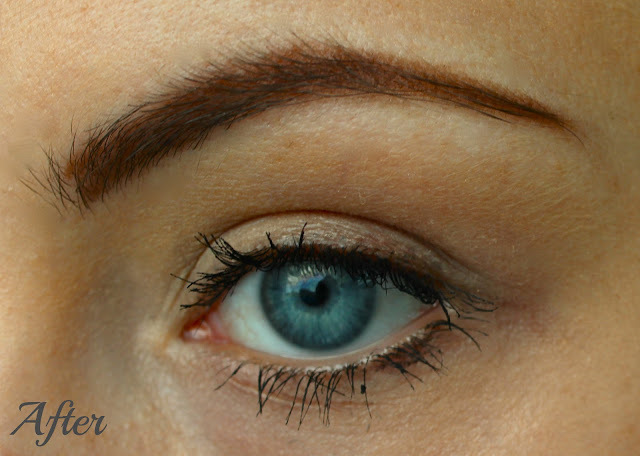 Do you use a product on your eyebrows or keep them au natural? P.S - I posted my giveaway on Wednesday so if you haven't entered yet you can enter here. It's open internationally and there is 15 products up for grabs, oohhh! I will deffo be purchasing this! Really well defined & shaped. You do have lovely eyebrows Mrs! I have never used this kit but I use my HD Brows one instead- i totally agree, eyebrows make a face; The first thing I've always noticed about people is their eyes so it stemmed naturally from there a couple of years ago and I have been obsessed with them ever since. I love dark brows too, I just think they frame your face so much better than light kits- go hard or go home haha. Anyway I shall love and leave you. Pop over for a chat soon! The product looks great on you! Great post have read many reviews on this product and it is defo on my wish list! Ooohhh glad you done this post! Great post! I had my make up done by one of the Benefit Girls when I was purchasing some make up, she used this kit on me but I completely forgot what it was called! Definitely on my wish list now! Your eyebrows look amazing! Such a big difference between the before and after, too! always wanted to try this but i seem to be happy with my pencil so cant see the point in changing! does look good though, maybe one day ill splash out! Love this been an all time favourite since I purchased it back in January! And I thought I was the only one who looks at people's eyebrows first (and teeth.lol). Eyebrows frame your face, I cannot stand bad eyebrows. It's one of my pet peeves. Currently, I'm using regular eyeshadow and it works for me, but I always love discovering new products for perfect eyebrows! great post! i tried it once, but i got the wrong shade so it looked ridiculous! I've been applying just a matte eyeshadow ever since my favorite eyebrow product ran out but now I think I might have found a new future favorite, maybe? Looks pretty good. I love the lip color in both the photos and your eyelashes are amazing! 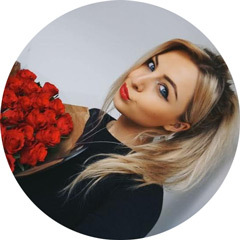 I am obsessed with your blog, I think I just spend 2 hours reading every post! haha I sound like a stalker. Seriously though, I love your blog design. It's easy to read and I really enjoyed it! I love my BrowZings, they are the best! I love defining my brows. I only use a pencil at the moment and it takes a lot of time and precision to get it looking good. So I am very glad that you have done a post on a wax/powder alternative I am making damn sure I try one of these kits out!! Your blog is as helpful and interesting as always :).